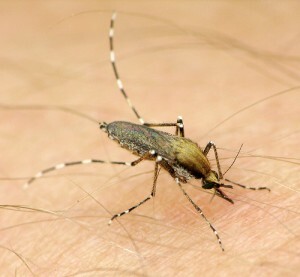 One of the first times I had the privilege of truly experiencing the vast diversity of the insect world occurred several years back when my family visited Victoria in British Columbia, Canada on a vacation during Christmas break. 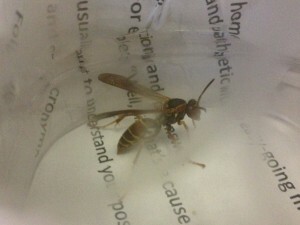 Of course, you may be thinking, how many insects could one possibly encounter in Canada, especially during the winter? Well, the answer to this occurred by chance when we happened walk by the Victoria Bug Zoo and my younger brother became intrigued by the idea of being able to both see and handle exotic insects. At the time, I did not know that I would be taking a course on insect biology, but this “zoo” visit marked the first time I was truly able to appreciate the vast diversity of the insect world. Ironically enough, this zoo did not only include “bugs,” but was also the home to other orders of insects. So despite being coined a “bug” zoo, the more scientifically correct description of the collection would in fact be an “insect” zoo. (One is left to wonder who is responsible for the misnaming of the zoo, or what the entomologists working there think of this foolish mistake.) Notable residents of the zoo range from giant stag beetles to phasmatodea, scorpions to centipedes, just too name off a few. When we entered the zoo, I was immediately taken aback by the size and color of many of these mysterious insects hailing from all over the globe. In all, the zoo housed over 50 different species of insects, many of which I had never even seen or heard of before my eye-opening visit. Thinking back on the experience, this zoo visit was a lot like our class’s behind-the-scenes visit to the HMNS Butterfly Center in the sense that it was awe-inspiring and raised the visitors’ awareness of the insect diversity. I was a lot younger at the time of the bug zoo visit than I am now, so perhaps this is the reason why I found the collection of insects to be so impressive and memorable – maybe being physically smaller in size made the insects seem bigger than they truly were! 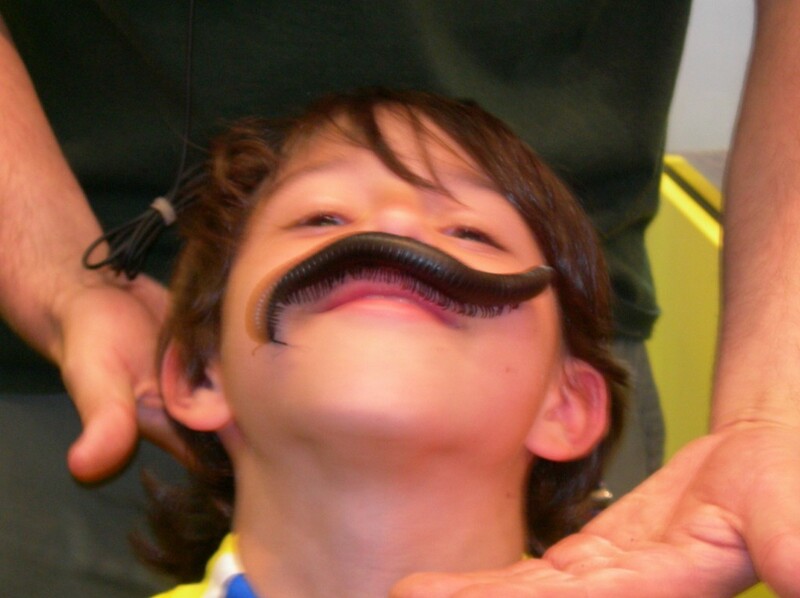 Above is a picture of my younger brother with a millipede mustache. 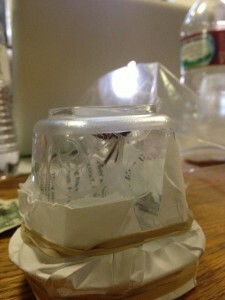 Although I did muster up the courage to handle the millipede with my hands, I was not as courageous as my brother. He was the only one in the zoo that day who volunteered to have the millipede crawl on his face.